A smart towel for smart people. Constructed with a dual pile weave, one side has long fibers and the other short fibers. The long fiber side works great when used with smartone or smartdetail in quick detail and waterless car wash applications where dirt needs to be carried away from the paint surface. The short fiber side is great for buffing away polish and wax residue, and cleaning windows. Silk Banded and so THICK AND ABSORBENT! ITS HUGE! 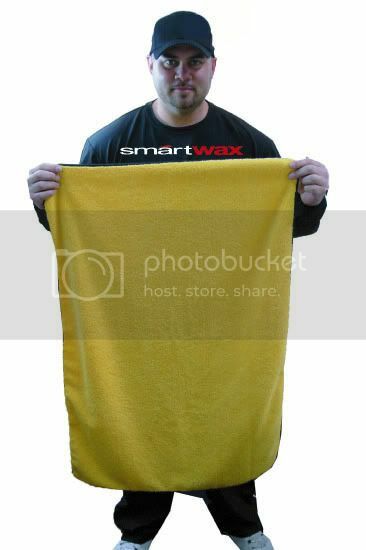 This Towel is Larger then Tiny smartwax professional detailer. Designed with the latest innovations and finest newest generation of microfiber fabric. Constructed with a dual pile weave, one side has long fibers and the other short fibers. The long fiber side works great in quick detail and waterless car wash applications where dirt needs to be carried away from the paint surface. The short fiber side is great for buffing away polish and wax residue, and cleaning windows. 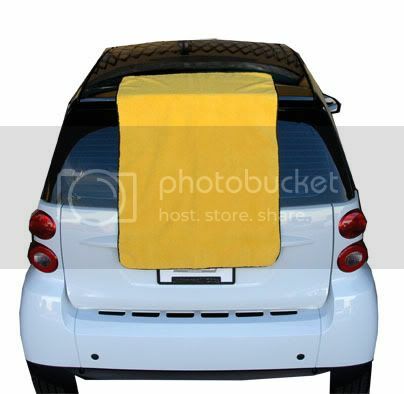 The towel is even larger then the smartwax smartcar. 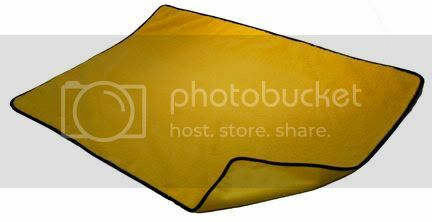 Faster Than a Chamois! Absorbs More Than Cotton! Won't Scratch or Create Swirl Marks! 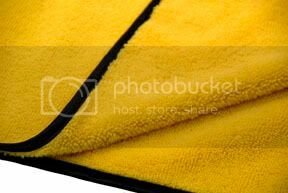 Silk Banded Edges Inside Stitched Super premium towel. 300,000 strands in every square inch of highly refined loop-woven microfiber. best suited for drying wet surfaces or for use with Quick Detail & Waterless carwash products. 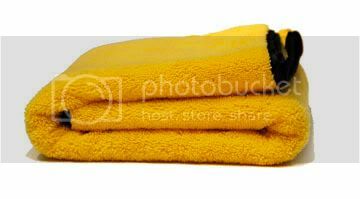 excellent dryer towel, very good construction that will not harm the most delicate of paint finishes.